Your browser does not support the audio element. Check out Nina's book! Check out Nina's book! 80s music is bigger than ever! There is no better way to present the sounds and the artists of the 80s than with a host whose image and personality are as strong as the tunes are fun and memorable. Nina Blackwood helped set the musical tastes and trends that are being celebrated today, and she continues to highlight the era that changed music forever with her long and short-form programs. 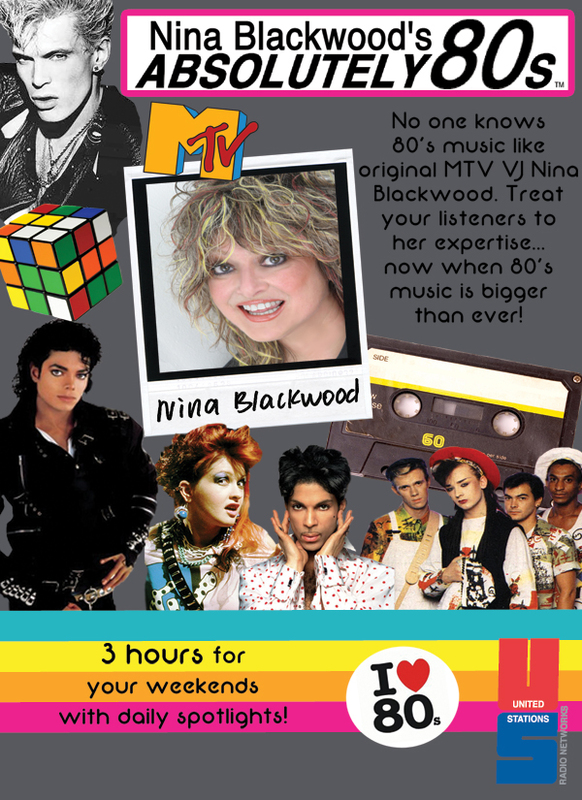 Whether you're all '80s all the time or claiming the '80s as your specialty position at night or on weekends, the natural programming choice is Nina Blackwood's Absolutely '80s and daily ABSOLUTELY 80s SPOTLIGHTS.